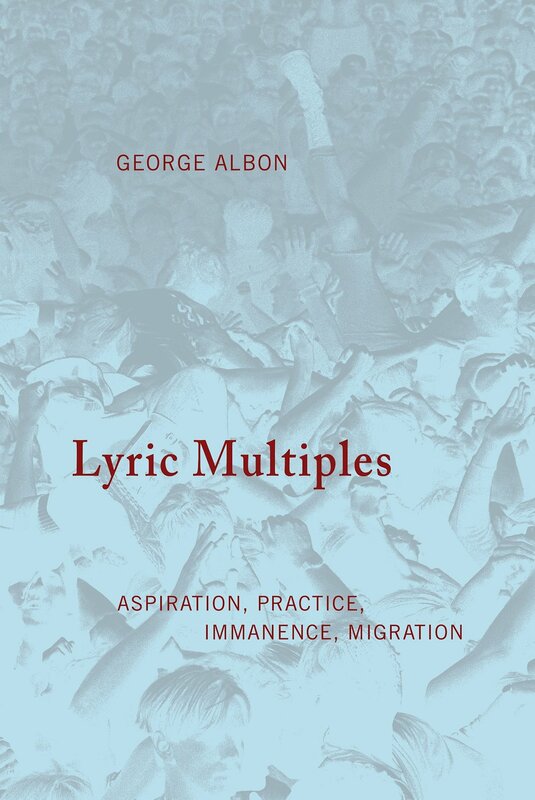 Join Spoonbill Studio [99 Montrose] for the Nightboat Books release of a new book of essays by George Albon, Lyric Multiples. Albon will joined by poet Emily Hunt. George Albon lives and works in San Francisco. He is the author of Fire Break, Momentary Songs, Step, Brief Capital of Disturbances, Thousands Count Out Loud, and Empire Life. Work of his has appeared in Chicago Review, Hambone, New American Writing, Crayon, Poetry Salzburg, Stonecutter Journal, and elsewhere; and in the anthologies The Gertrude Stein Awards in Innovative American Poetry, Blood and Tears: Poems for Matthew Shepard, and Bay Poetics. He is sole member of the pop musical group The Sheaves. Pieces on Morton Feldman and Otis Redding have appeared in Shuffle Boil. His essay “The Paradise of Meaning” was the George Oppen Memorial Lecture for 2002. Emily Hunt is the author of the poetry collection Dark Green (The Song Cave); a book of drawings, This Always Happens (Brave Men Press); and the chapbooks New Clouds (Floating Wolf Quarterly), and Company (forthcoming from The Song Cave). She lives in Brooklyn and works as Programs Manager at the Poetry Society of America.